Free Online Pay Stub Generator is the chart-topping service used by small to large business owners as well as freelancers these days. Yet there are people who are investing in payroll software, thinking of it as more benefitting then the former. Well, using paystub generator free is a smart move which you’ll be concluding by the end of this blog. The benefits of using paystub maker are widely popular amongst employers, employees as well as self-employed guys. All you need is an internet connection to get started. Without any kind of special training, you can easily get started with paycheck stub creator. 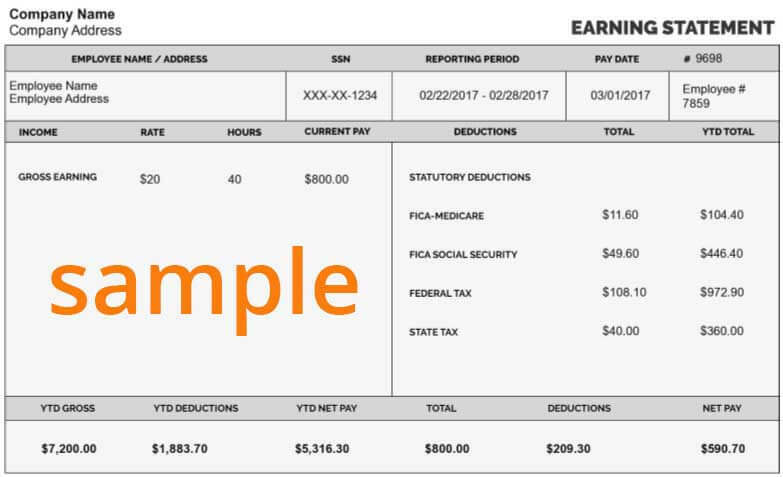 In just three easy steps, your pay stub is ready. Just enter your details, preview the information and print/mail the stub. The main benefit of using free paystub maker is you get 1st Stub FREE. This is just one of the unlimited advantages which you can reap from the stub creator. Once you create a pay stub online and then realize that you’ve made a mistake, you can get it corrected free of cost. Also, you can request a mail to be sent back to you if it has been trashed from your mailbox. Paycheck stub maker has a diversity of advantages to offer anyone who wishes to make free paychecks online. The results are as accurate and precise as you can create using any said software. Another major attraction is the affordability and free paycheck stub templates choice. Payroll Software is generally designed to onboard employees online and manages paychecks distribution. You should be prepared to invest a lump sum of the amount if you are planning to get any of this software installed to manage your accounting needs. Gusto, Quickbooks, OnPay, Patriot Software and SurePayroll are few of the popular ones used in the market. Before you step ahead with any of them, you have to analyze your business scenario and then pick the right one. Your company size, budget, and future business goals need to be taken into account. This is the opposite case than it is with paycheck stubs. You don’t have to think twice before making pay stubs. You don’t even need to login or create an account. Just fill in your details and go! This does not mean your data is vulnerable. Your personal detail is not stored with online pay stub makers, nor is your email id shared with any. What could be the hindrance? All software has own pros and cons. If you want to access a complete array of features, you’ll have to spend more. Also, you need to face serious issues if you want to create pay stubs for the small company size. Coming across attractive offers and discounts on software may seem like low-hanging fruits. So before you plan to make any big investment, you definitely need to check out the clear difference between the entitled entities. The above-mentioned classification is enough to make you get started. So what are you waiting for? Create a pay stub now!